Not quite finished when these photos were taken, but it’s going to be gorgeous, don’t you think? 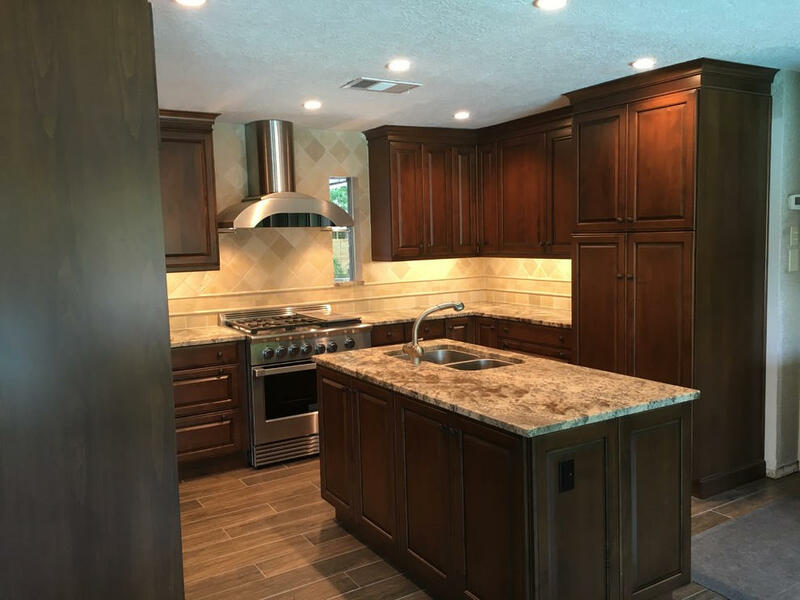 Brand new custom Brookhaven cabinets, granite countertops, and all LED lighting (recessed cans and under-cabinet lights). 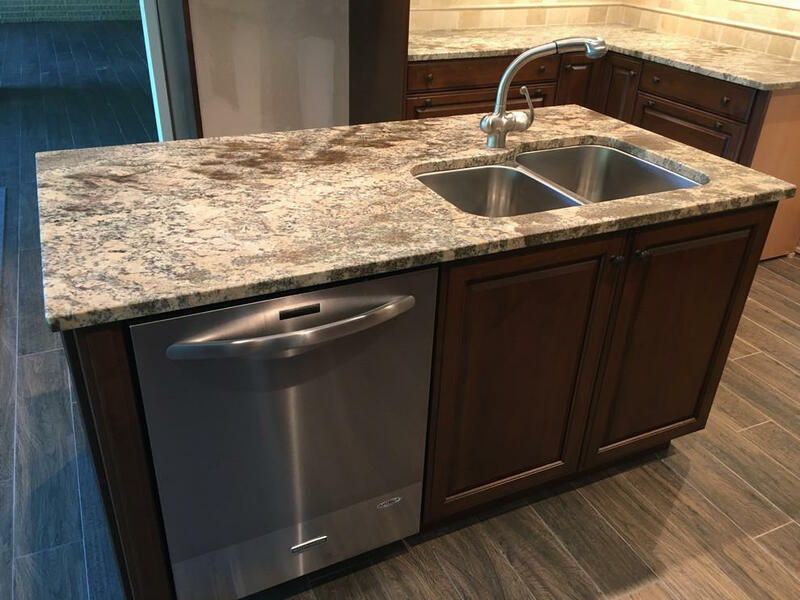 Notice not electrical outlets in the backsplashes? 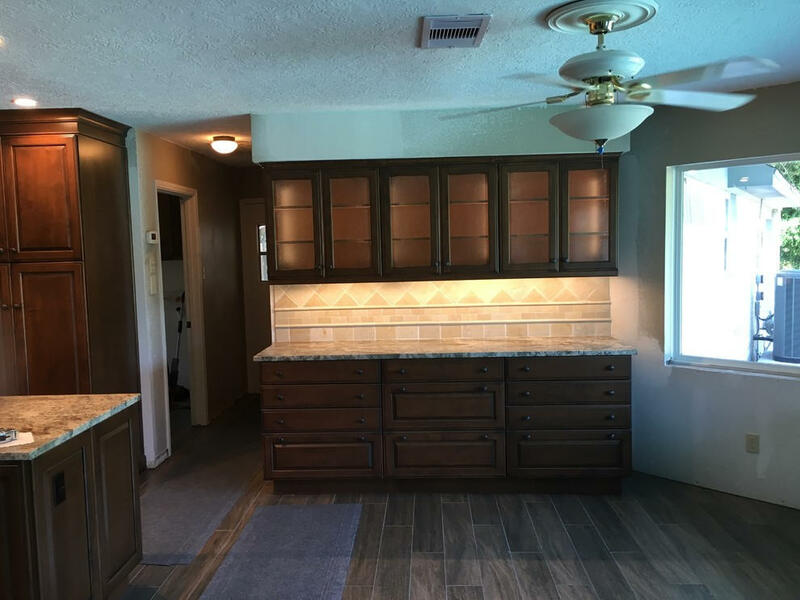 They’re concealed below the upper cabinets! Not quite finished when these photos were taken, but it's going to be gorgeous, don't you think? 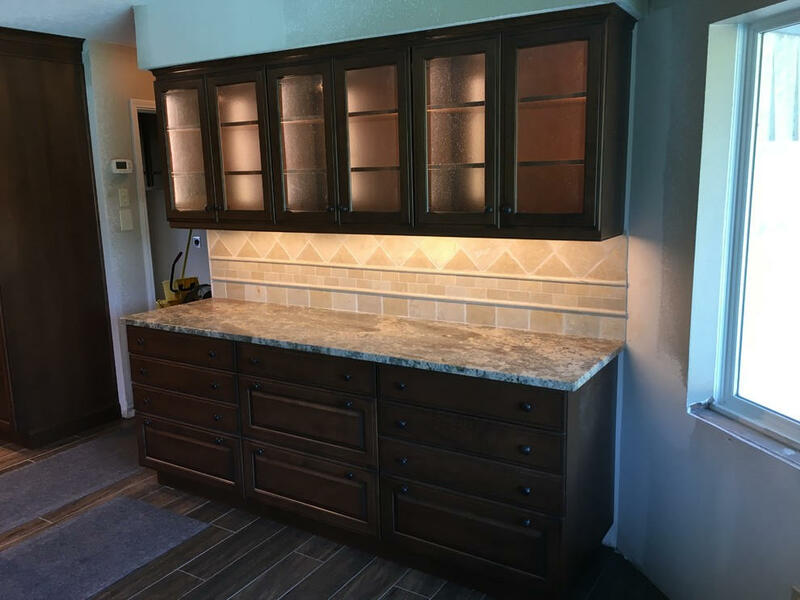 Brand new custom Brookhaven cabinets, granite countertops, and all LED lighting (recessed cans and under-cabinet lights). 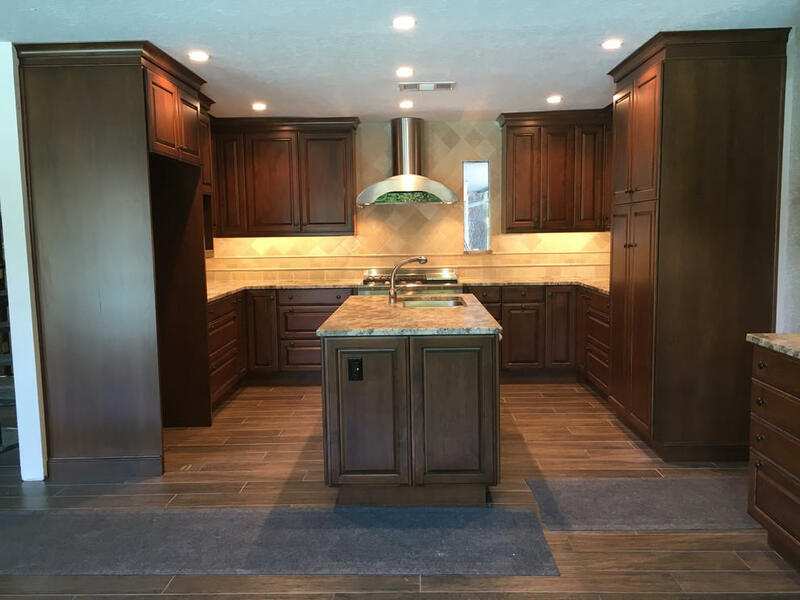 Notice not electrical outlets in the backsplashes? They're concealed below the upper cabinets! 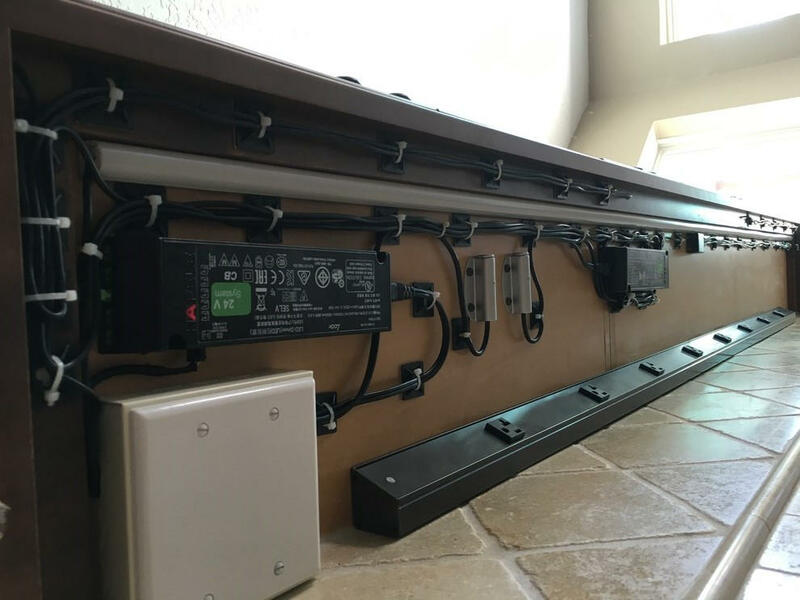 Detailed photo of intricate wiring of the cabinet interior lights, under-cabinet lights, and Angled Power Strips, all hidden under the hutch upper cabinets.